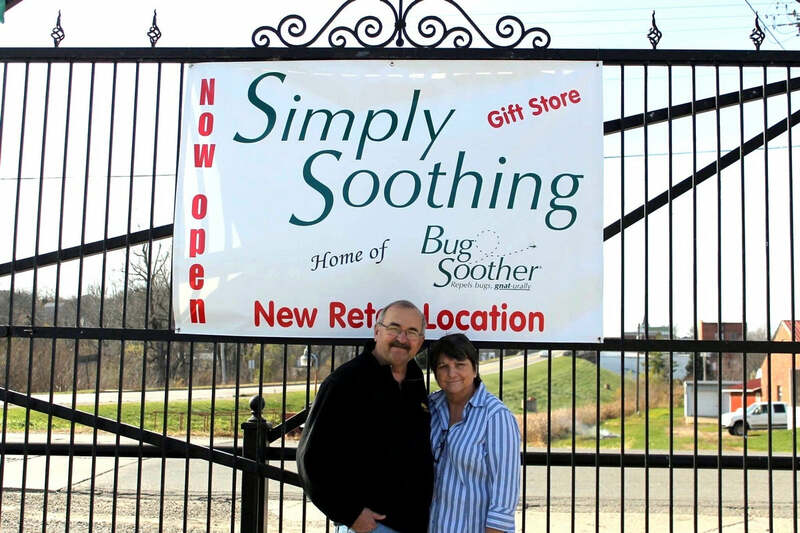 Simply Soothing, Inc. is a family-owned and operated business based in Columbus Junction, Iowa. We have been creating unique, handmade products for over 15 years, with an emphasis on high quality for a reasonable price. My name is Freda Sojka, and I am the founder and CEO of Simply Soothing, Inc. I started this business in 2003, after working for Monsanto for 22 years. I wanted something I could do with my family and a year later I was able to take an early retirement and devote my energy full time to the business. My daughter, Nikki Salek, has been part of the company from the very beginning, along with my husband Jim, a retired bridge builder of 40 years. In 2013 our son Justin Scheef, formerly of Schwans, joined us as our Sales Director. Over the years, we have had many nieces and nephews help in different capacities. Our niece, Tessa Pugh, continues to help with research and development, when not teaching. In 2015, our daughter Stacie, formerly of Six Flags, joined the team as a Marketing Consultant out of St. Louis. Our son Greg has an amazing music and teaching career out in Oregon, but we are always hoping to steal him back to the Midwest too! Our grandchildren even help out when they aren't busy with school, football, dance & Tae Kwon Do and just being kids. Much of our promotional material features our own grandchildren and they LOVE helping us pass out Bug Soother when we go camping. 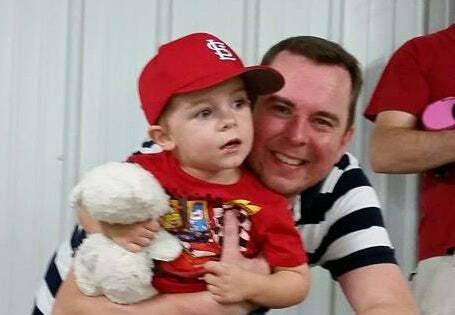 Our youngest grandson even includes it in Kindness Bags and passes it out all over St. Louis! Along with family we have a whole team of folks that are like family. We are extremely proud to be a small, woman owned family business. 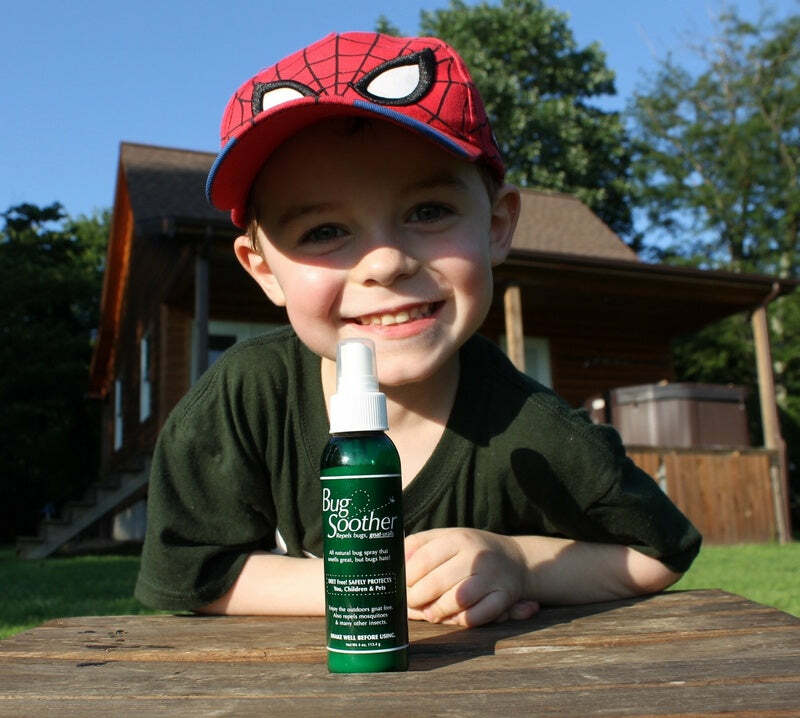 In 2008 during the floods of the Midwest, I developed a natural bug repellent, called Bug Soother. I originally created it for a five month old grandson because I did not want anything with harsh chemicals, especially DEET, being used on him. I gave a sample bottle to my sister to try. Her home on the Cedar River had been flooded, and the gnats were terrible. Some men from the Carolinas were measuring flood waters, and trying to work in a swarm of gnats. She gave the men a quick spritz and instantly the gnats went away. The next day, a man came into my little shop on Main Street, and asked if I made the bug spray. He told me that his workers had come back to the motel the night before, asking him to get them some of that bug spray. He bought everything I had made up. Little did I know, that experience would set the pace for our new product. From the very beginning, Bug Soother sold faster than we could make it, and for the next two years, we continuously sold out everywhere we had the spray. With a low budget, and no advertising, it was strictly by word of mouth. In 2010, we got a jump on the season, and actually went out for the first time to 'sell' our natural bug spray in a 60 mile radius to golf courses. 9 out of 10 golf courses bought the spray from us, without knowing whether it worked or not. Golf courses have come to be one of our best marketing tools. 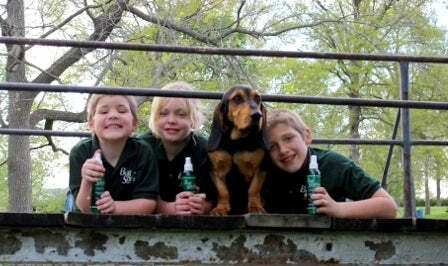 The next year, 2011, we were approached by a nearby grocery store that wanted to sell our natural bug repellent. Over a six week period, that little grocery store in a town of 1800 sold over 700 bottles. The manager, Scott Davis, was surprised at how well it sold. He had been in the grocery business for years, and wanted to help boost our product to the national level. With his help, we were able to get a meeting with a grocery distribution company that bought our first pallets. Our first pallets were made in the basement of our old building on Main Street, with the help of friends. We borrowed our local grocery store's fork truck to load those first pallets. In 2012, we bought a larger building and started making Bug Soother in larger quantities. Steve Stout, a retired salesman, went out to many types of retail locations to sell Bug Soother. Hardware stores proved to be another of our larger outlets. We ended up with product in two Ace Hardware distribution centers the following year. Bug Soother made the new product list in the National Hardware Retail Association Magazine, and we started getting attention on a national level. 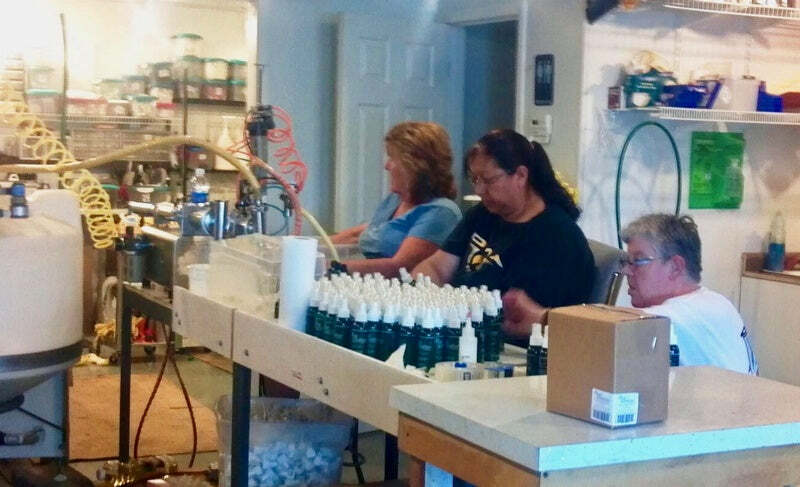 By the spring of 2014, Simply Soothing had a warehouse rapidly filling with Bug Soother, preparing for a busy season. The customer demand was so great in the Midwest, that we had difficulty meeting that demand. In addition to selling nationwide, Bug Soother was approached to go international when Willie Petrie contacted us about selling it in Europe. After “bugging” us for nearly two years, we finally agreed. Tessa and I found a way to stabilize a concentrate, so that it could be shipped to Scotland, where Willie dilutes, bottles, and distributes it. That same year, we traveled to Panama and Colombia on an Iowa Trade Mission, to explore possibilities in Central America. We were met with much interest to export. We attended an international tradeshow in London with Willie the following year, and again met with wide enthusiasm across the world. Since then, with help from CIRAS, EDC and our good friend John Dotson, we have continuously been working to improve our process, business strategy, and to increase and meet demand. Today, Bug Soother is sold in over 6,000 retail locations across the U.S., our website and ecommerce, as well as being sold around the world in the UK, Europe, Central America, Grand Cayman and Scandinavia. Several other countries are in the works, and hopefully will be launched in the next year or so. My daughter Nikki and I started Simply Soothing in 2003, from a love of fragrant candles, shea cream, and soothing bath and body products. We opened a retail store in Muscatine that fall, but by spring, we had to close it down, due to a lack of experience and funds, We moved the store to my basement, and after being contacted to make our products by both a Bed in Breakfast and a cosmetics company, we were able to open a retail location up again, this time in Columbus Junction. When Bug Soother really started to take off, we had to shift our focus away from the store, but I missed it. I love creating new products, and some even call me the "mad scientist". 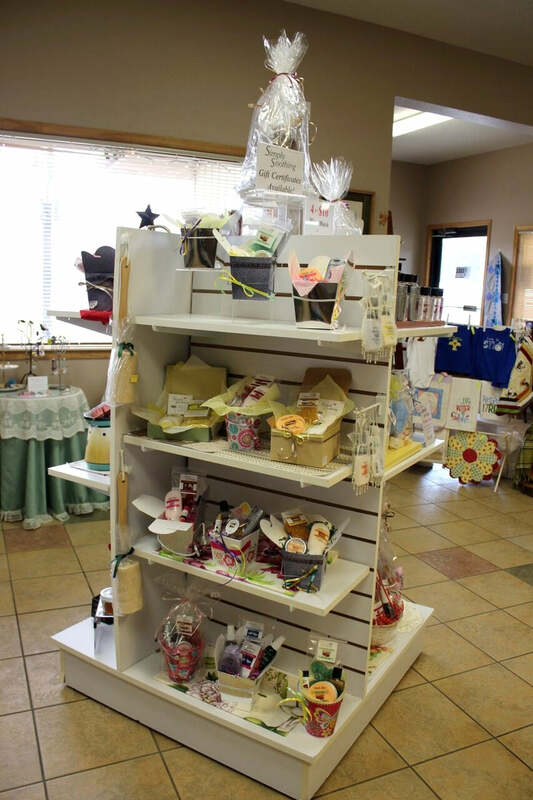 So, in the fall of 2015, we opened our current retail location, called Simply Soothing Iowa Marketplace. 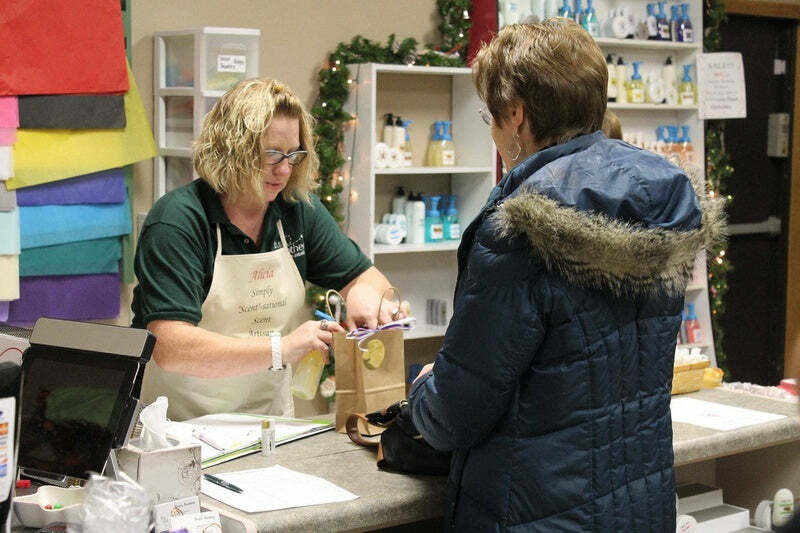 It features our original scents, as well as many local Iowa vendors. They hand-craft everything from metalwork, to wine, home décor, and even jewelry.  Each and every item is handcrafted by talented Iowa Artisans. As a family owned business, Simply Soothing takes an active part in our community, and supports local organizations and causes. See some of the organizations Simply Soothing is proud to support. Want to know more? Stop by for a visit, drop us a line at customerservice@simplysoothing.net or visit us on Facebook.